The seminal vesicles are paired structures lying obliquely from inferomedial to supero-lateral at the posterior junction of the prostate and bladder. They contribute approximately 70% of the seminal fluid to the ejaculate (7). The right seminal vesicle is larger than the left in approximately one-third of men (8). The blood supply enters at the tip of the seminal vesicle and is usually from the vesiculodeferential artery, a branch of the superior vesical artery (9). Occasionally, there may also be branches from the inferior vesical artery (1). Among fertile men without urologic disease or symptoms, the seminal vesicles range in size from 1.9 to 4.1 cm in length and 0.4 to 1.4 cm in width (10). Owing to their common embryologic origin, abnormalities of the seminal vesicle are often associated with congenital anomalies of the kidney and ureter. Since the seminal vesicle develops from the distal mesonephric duct along with the kidney and ureter (11), it is common to have ipsilateral seminal vesicle, renal, and ureteral anomalies. The most common association is a congenital seminal vesicle cyst along with renal agenesis. 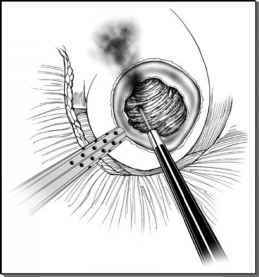 Furthermore, ectopic ureters may enter directly into the seminal vesicle (11).